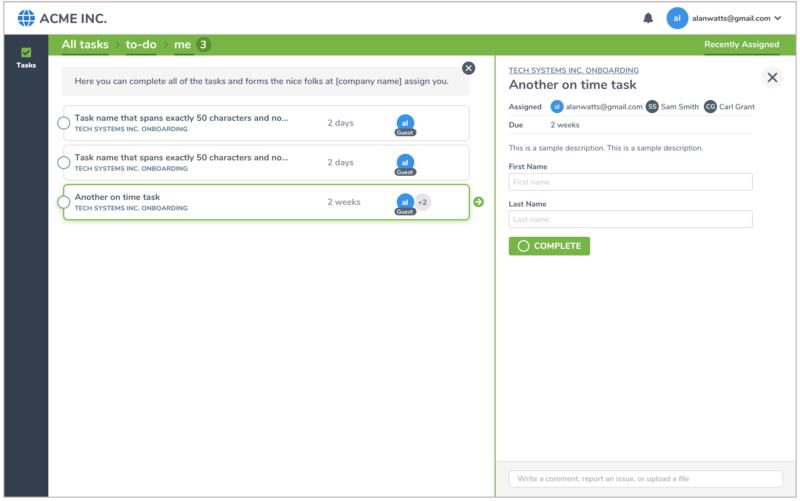 The ' guest' user is designed for transient clients/customers/partners outside your organization that are assigned to occasional tasks in a specific process or a one-off task. 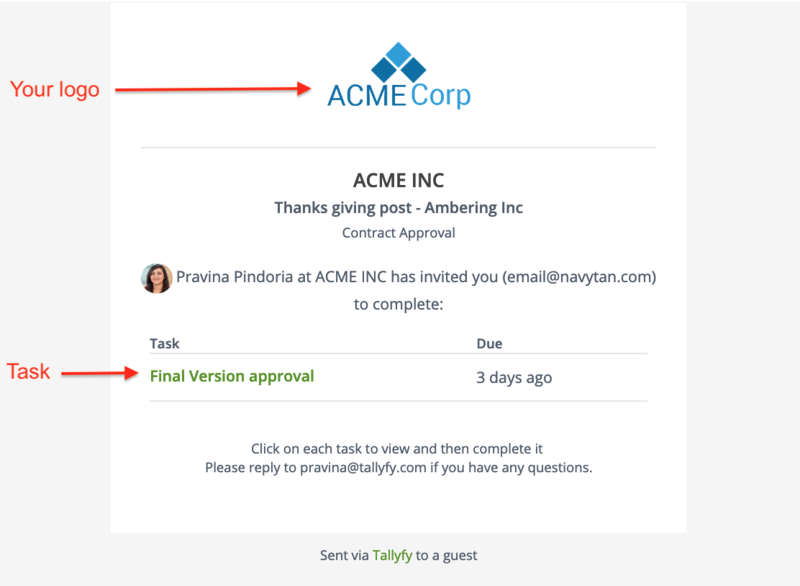 You can assign a one-off task or a task in a repeatable process to your client (guest email) after a process has launched. The key differences between a guest and a members is that guests do not have to log in and they just see the task assigned to them, allowing you to keep internal organizational information and tasks private. 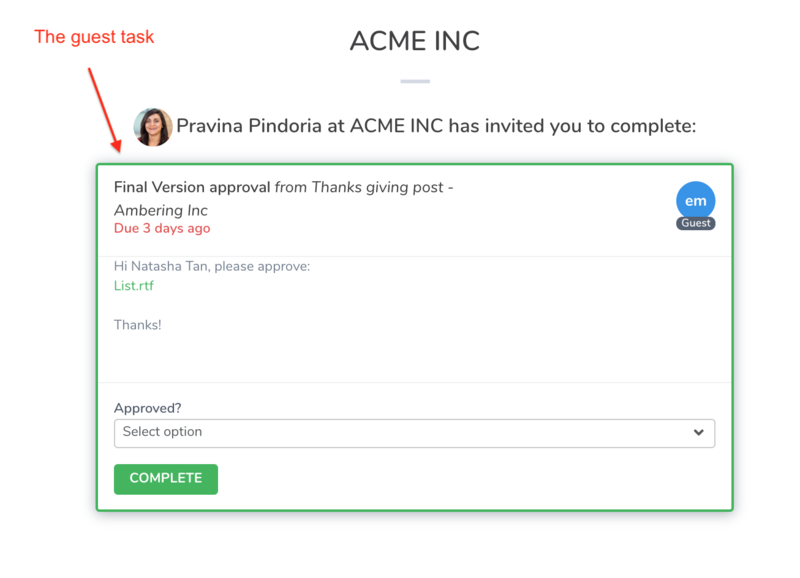 Only one guest email can be assigned to each task. How do I assign a one-off task to a guest?